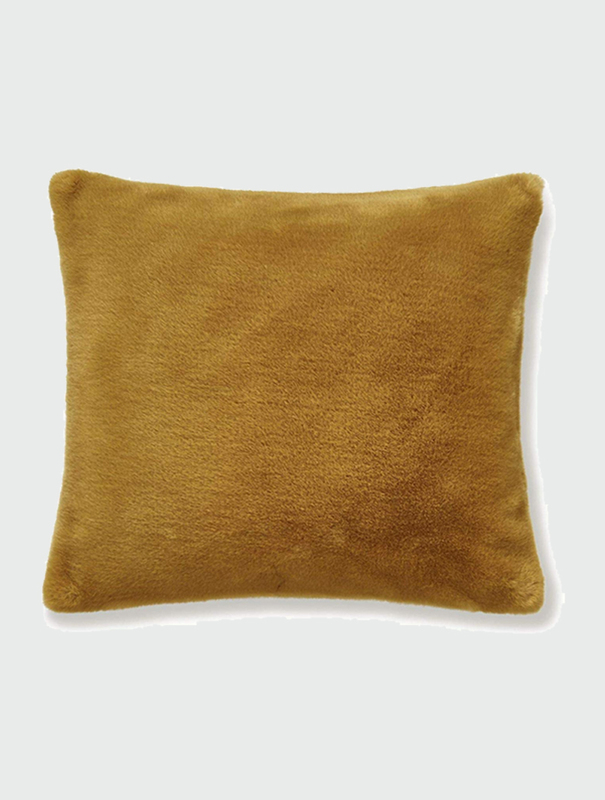 The Content by Terence Conran cushion is in a subtle on trend shade of ochre, add warmth to any living space with this faux fur cushion. Uber soft and luxuriously delicate to the touch. 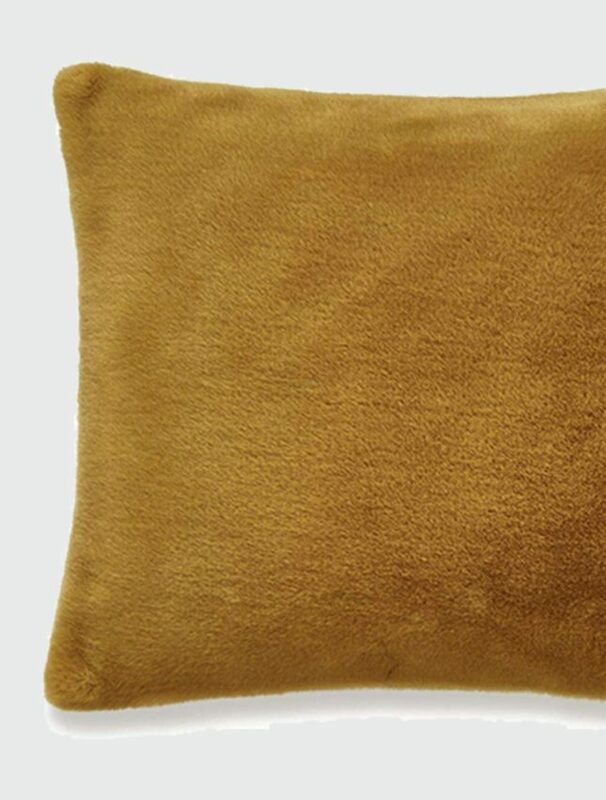 The tactile cushion comes with a zip opening for ease, the soft feather filled inner pad can be easily changed. 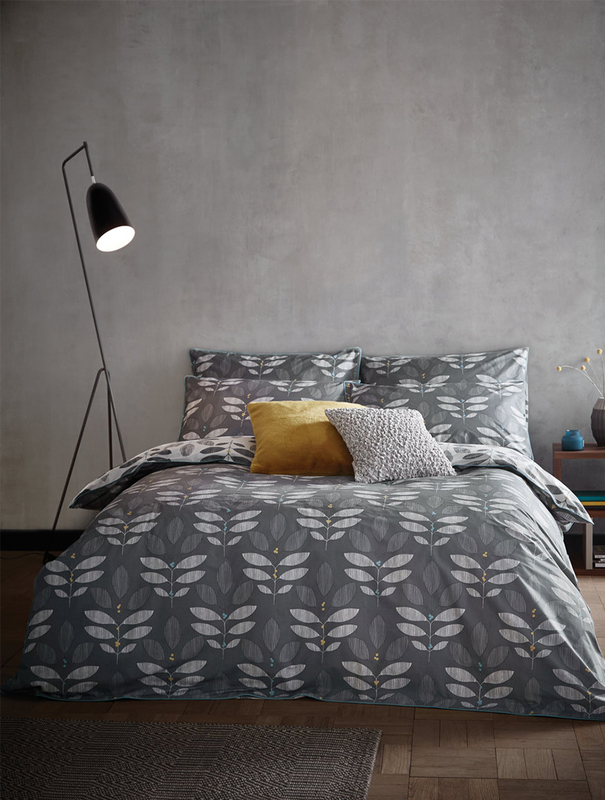 This luxurious and sumptuous fabric makes a stylish addition to your bedroom. Matching throw available. 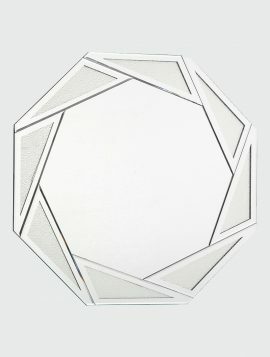 An octagonal mirror, framed with a raindrop effect glass edging, giving a second texture to the 80cm mirror. Place in a bathroom for a unique look. 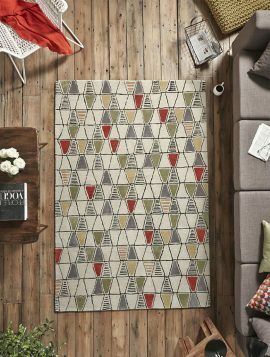 The contemporary geometric pattern of the Echo rug is based on a monoprint texture and collage design and designed by Fiona Howard, a highly regarded British textile designer. Fiona trained at Middlesex University and now works from her Regency studio overlooking the sea in Brighton, Sussex and from her Los Angeles studio in Venice Beach. Each rug is hand tufted using a luxurious mix of wool and viscose. 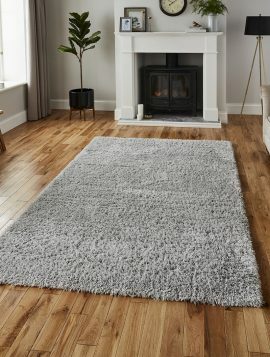 The blend of these two components creates a stunning rug with a high density of tufting and soft finish. 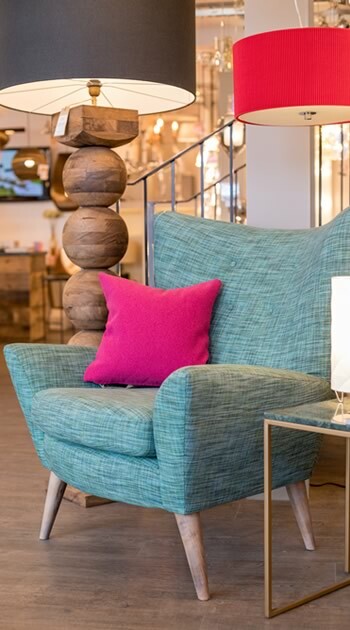 The pile in the Repreve recycled shaggy is 100% recycled polyester made entirely from recycled plastic bottles. Each square metre of product saves over 100 plastic bottles from entering landfill or incineration. 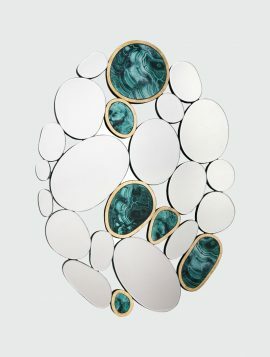 A sophisticated cluster of pebble shaped mirror panels mixed with agate effect pieces and gilded detailing for a truly opulent decorative effect. This green and gold mirror adds a talking point to any room.